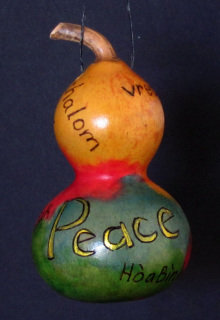 Our little ornaments are made from gourds approximately 3-5 inches in height, not including stems. 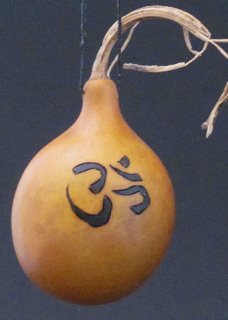 They are pyrographed and then painted with artist quality inks and paints. 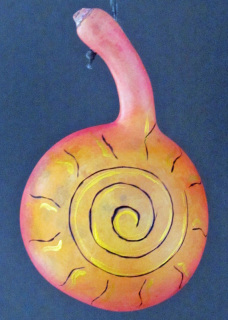 Finally, they are all sealed with satin polyurethane spray. 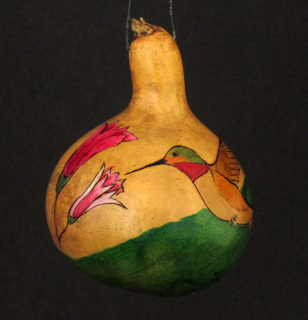 They are hung simply with waxed linen cord in a coordinating color. 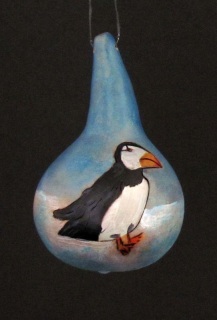 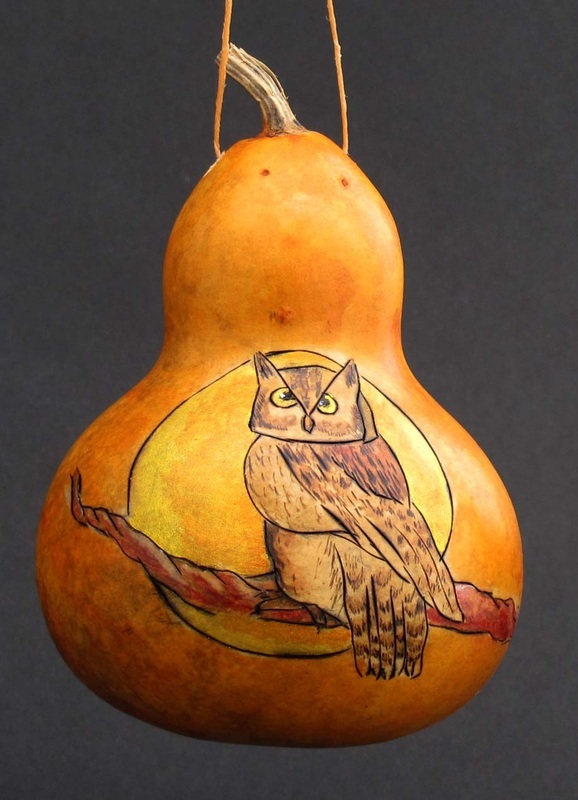 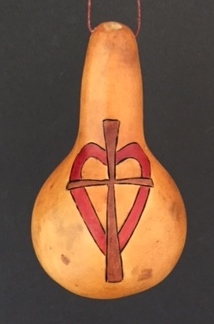 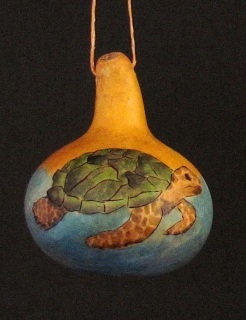 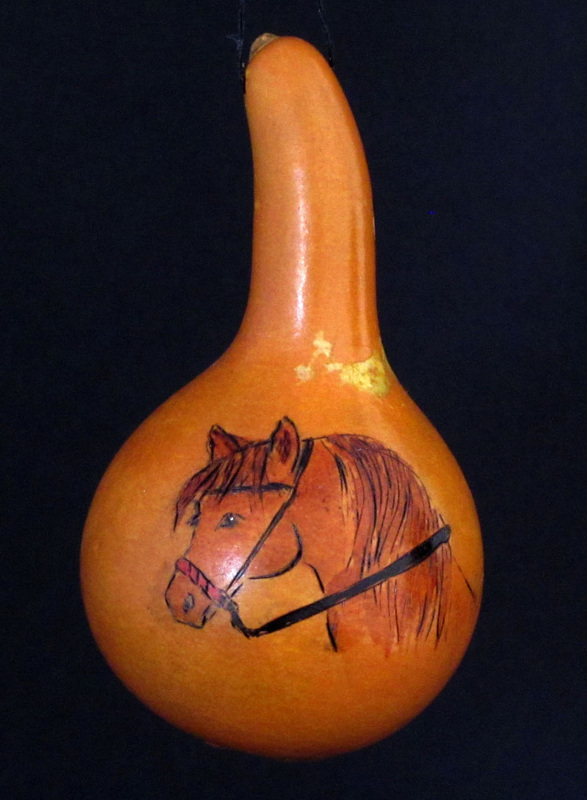 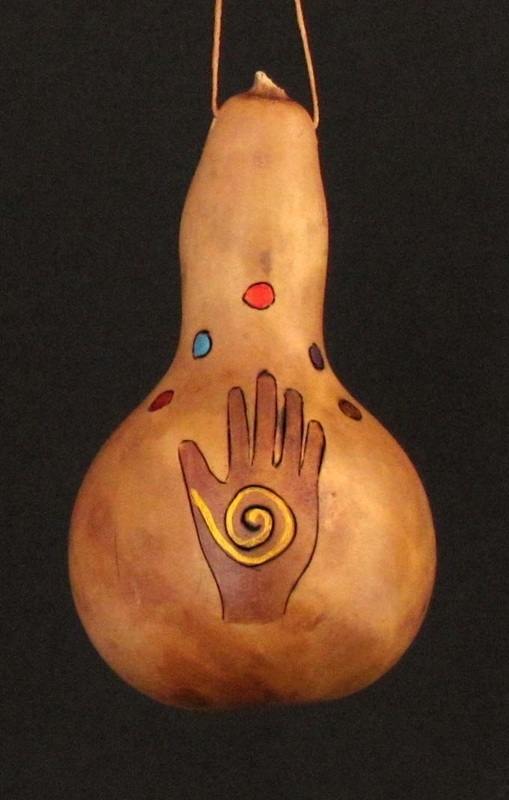 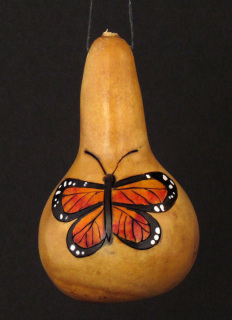 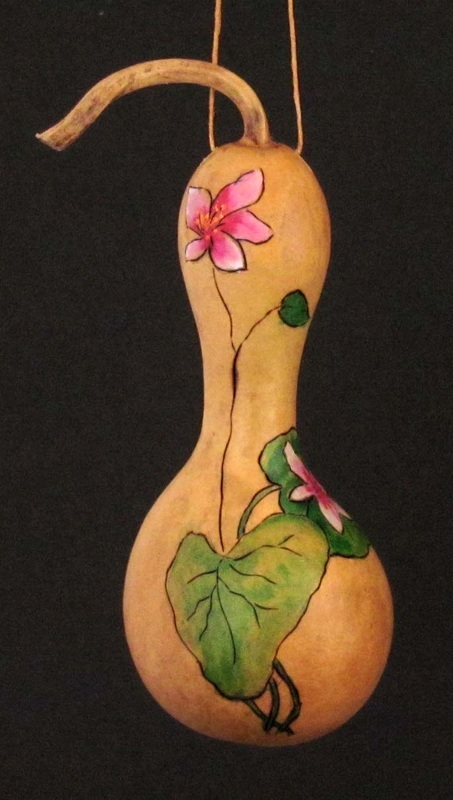 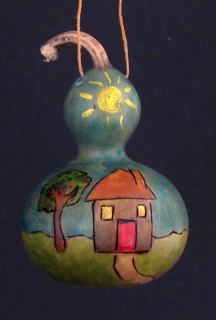 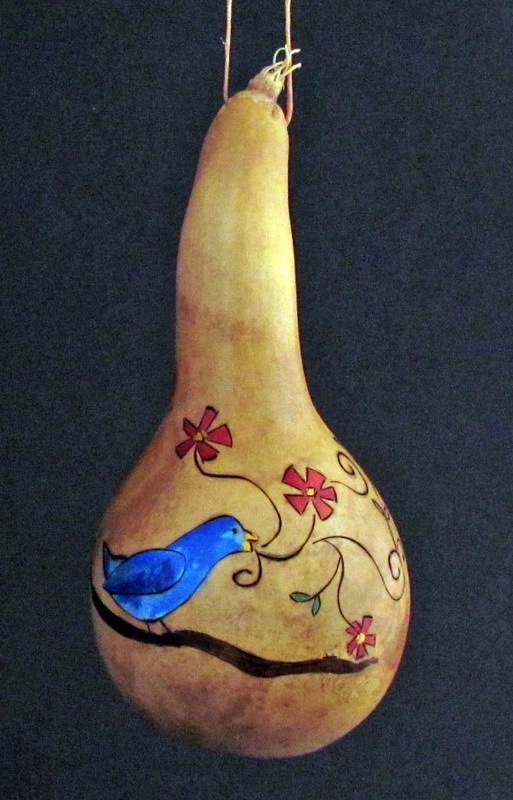 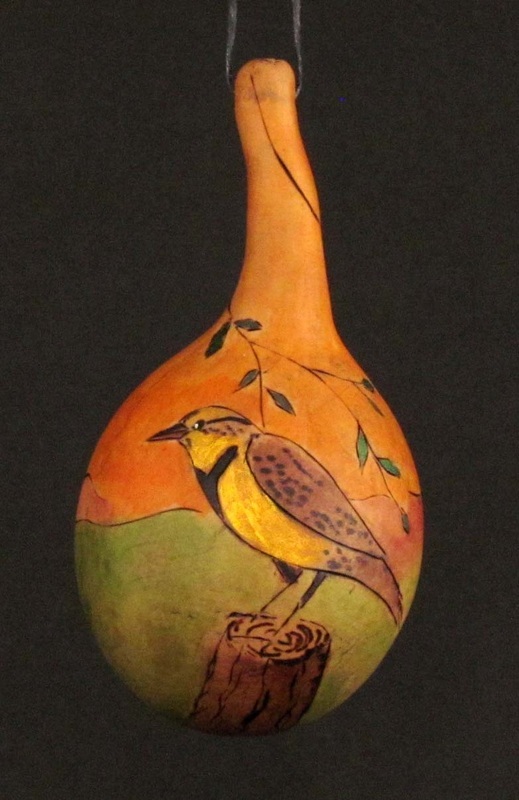 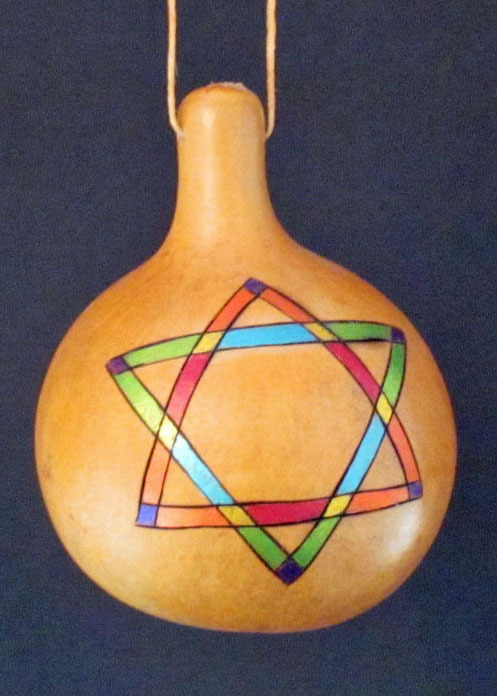 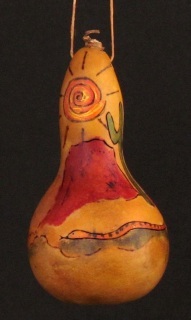 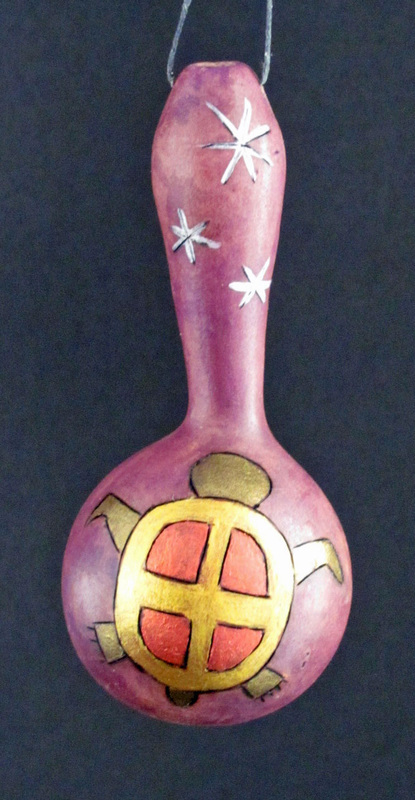 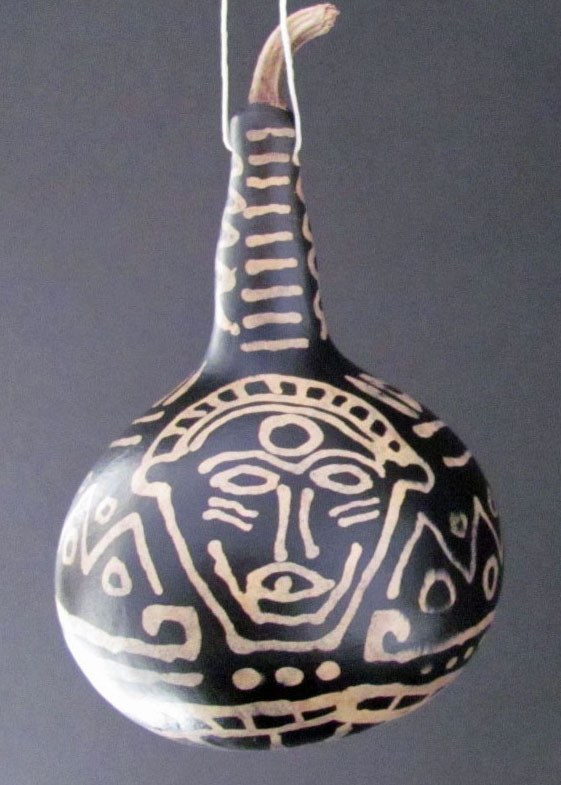 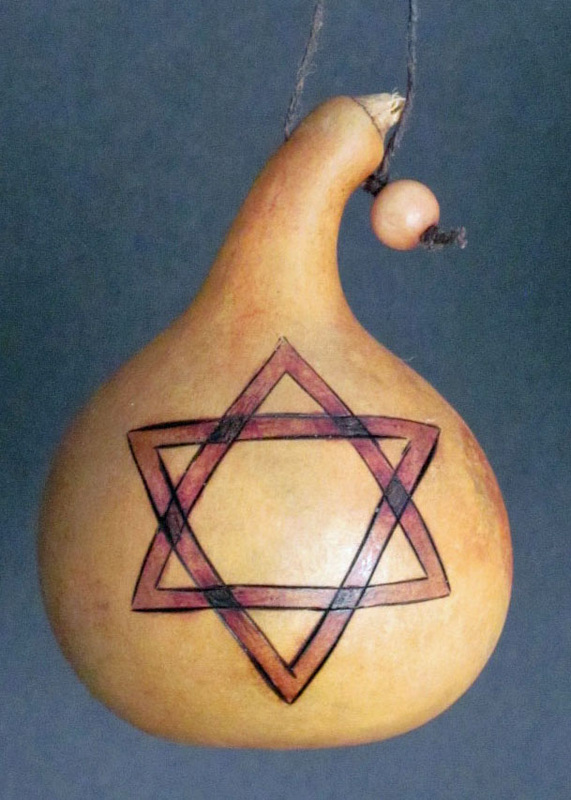 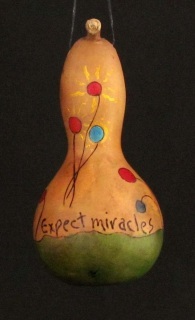 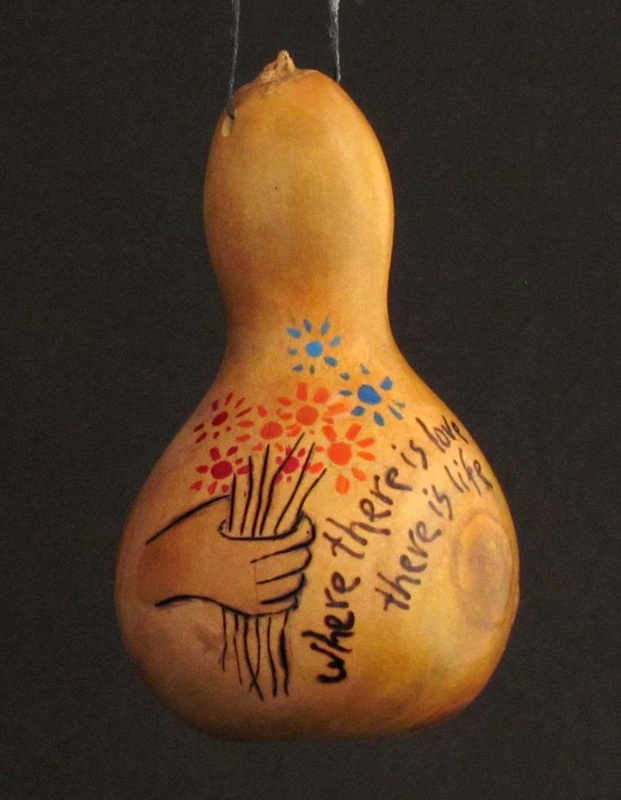 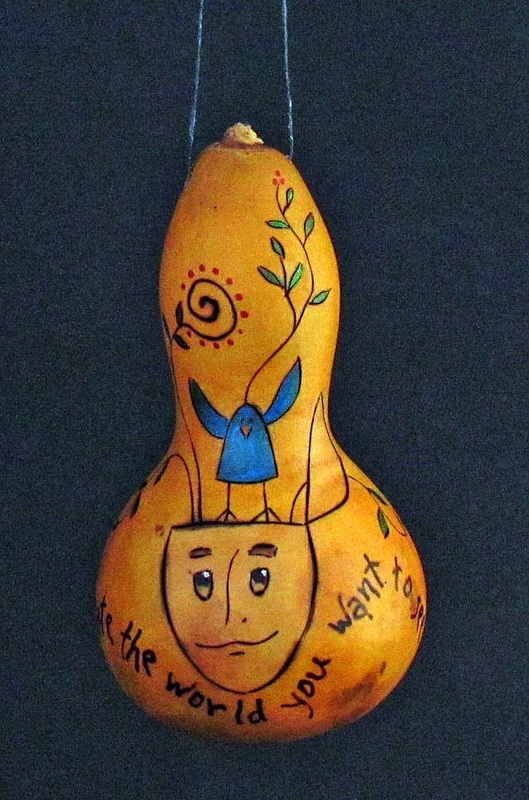 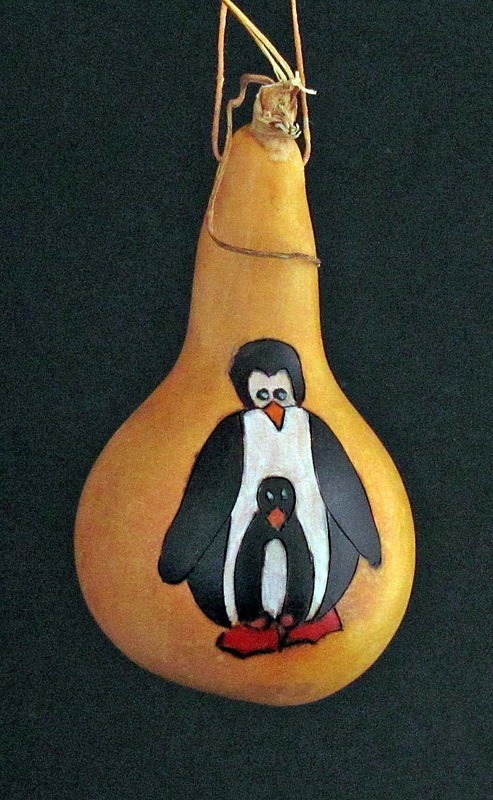 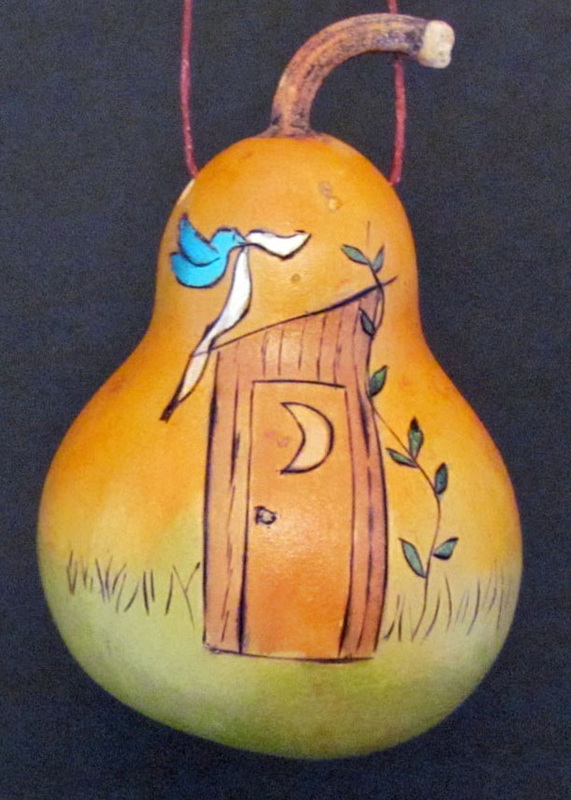 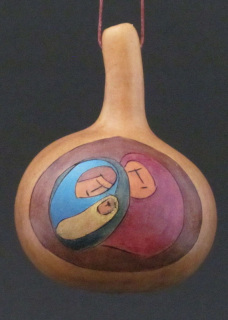 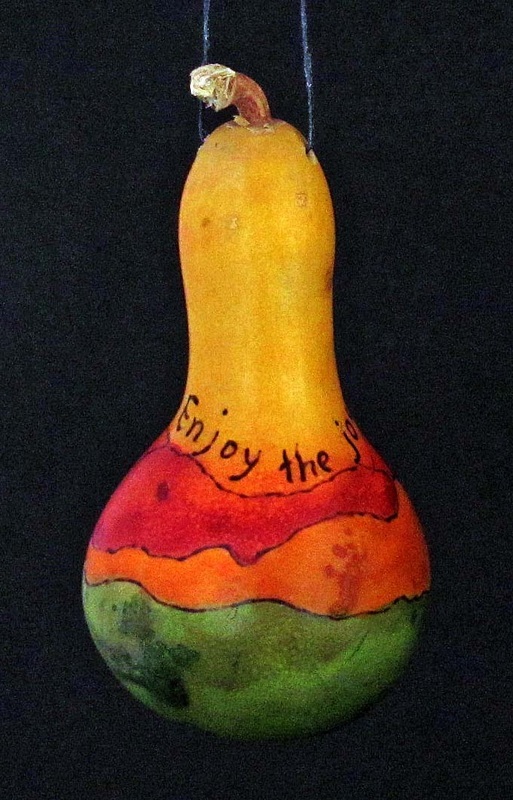 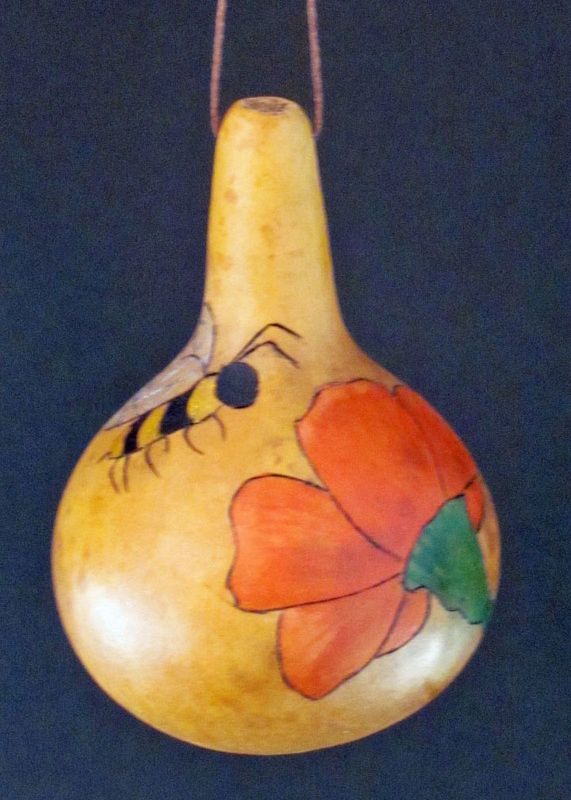 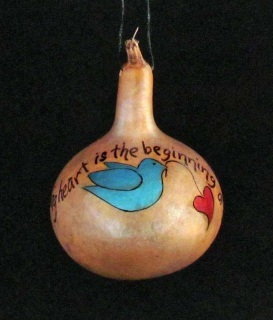 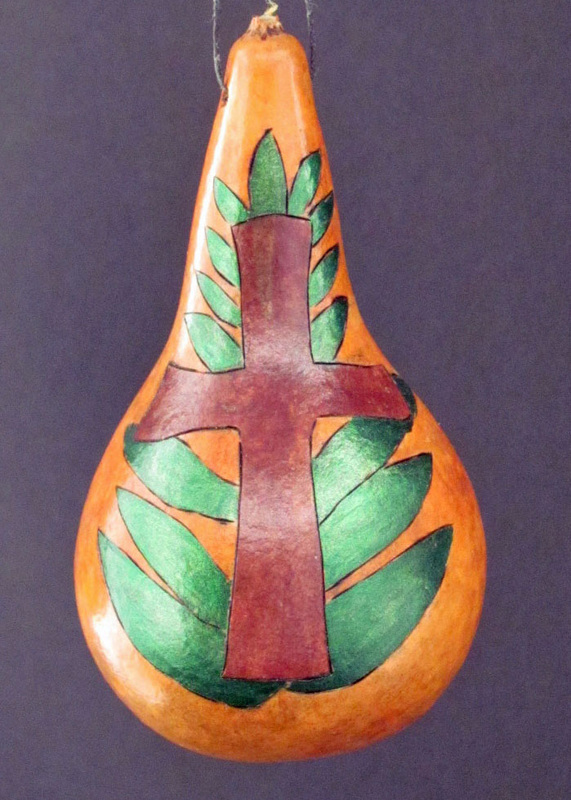 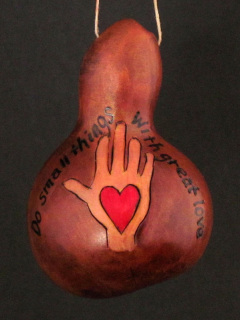 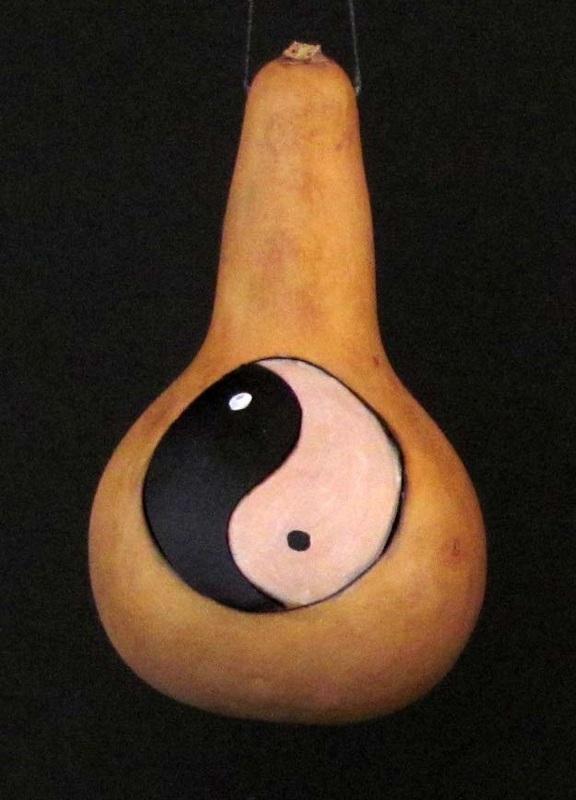 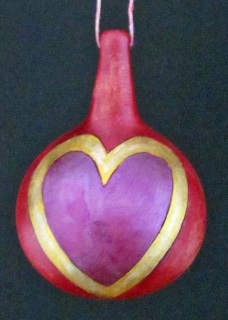 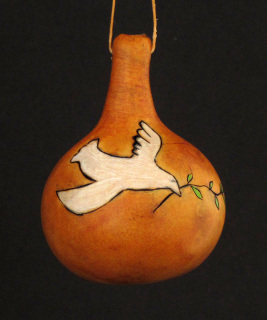 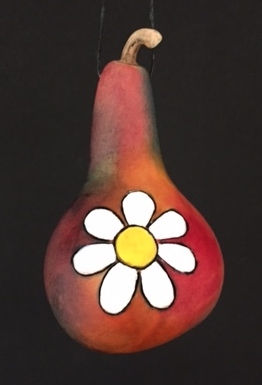 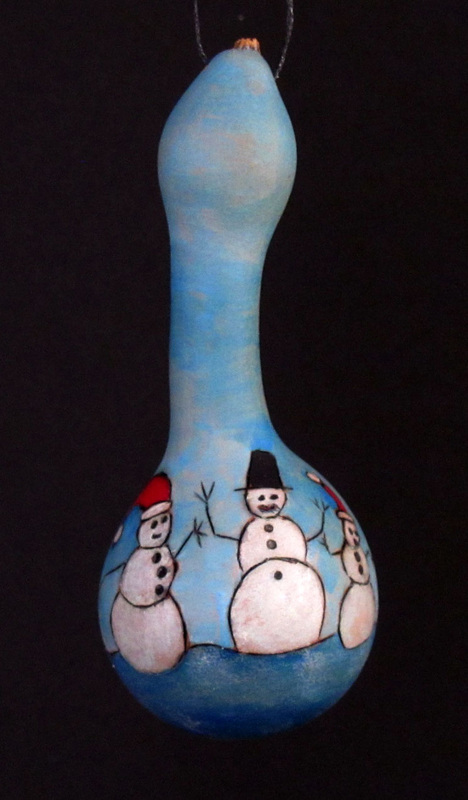 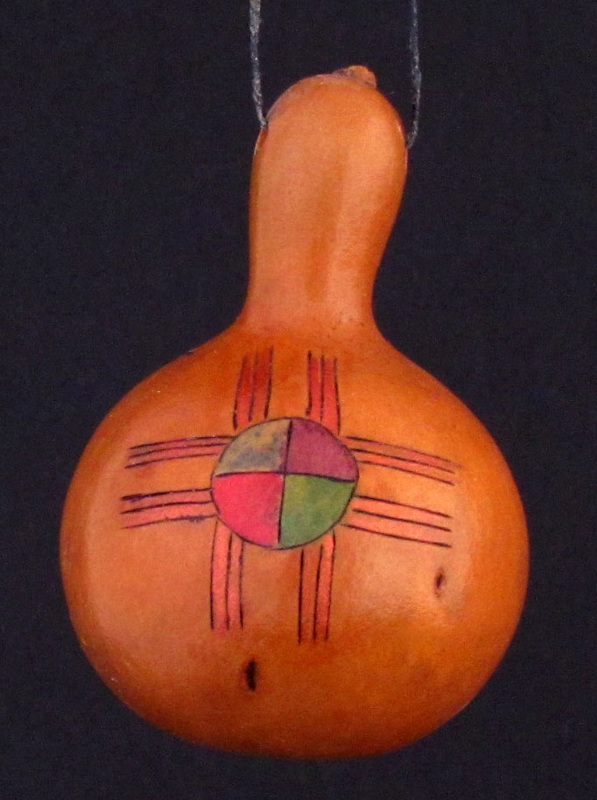 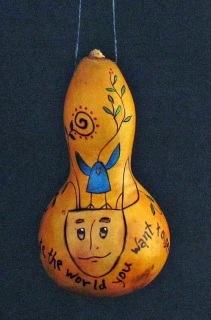 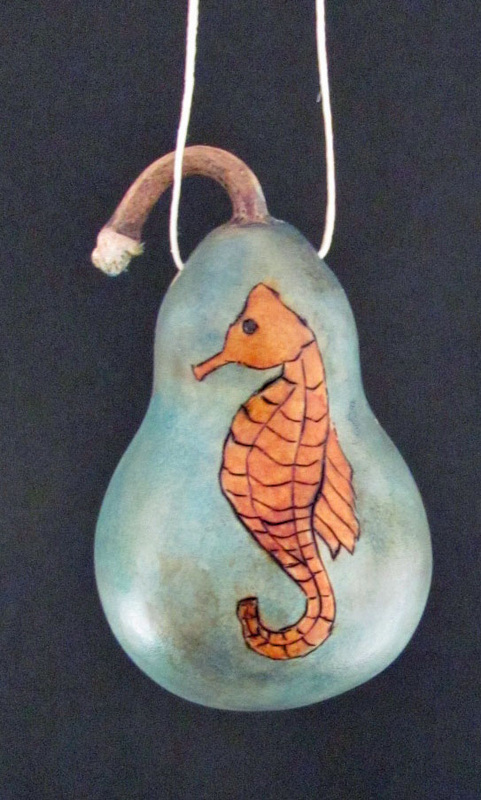 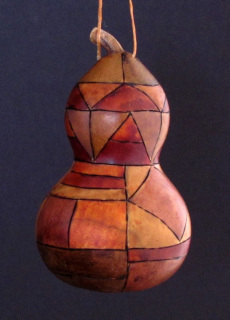 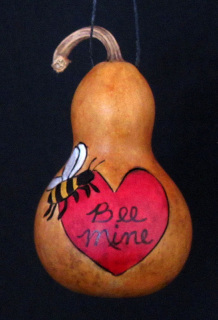 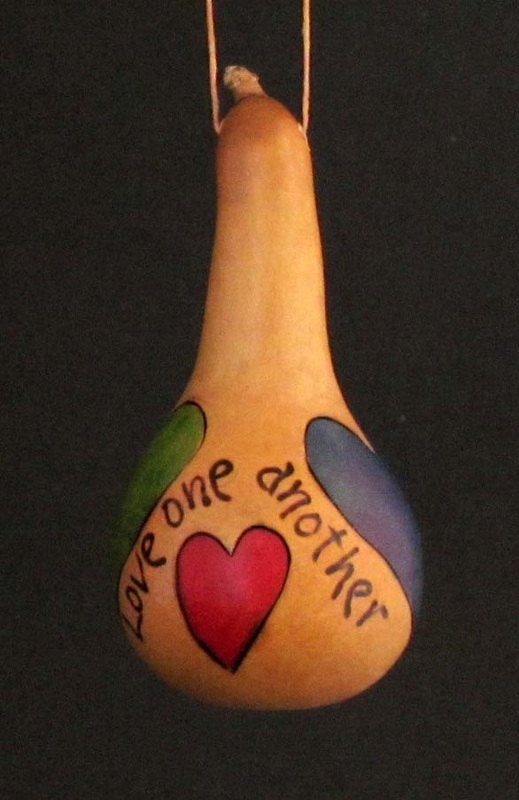 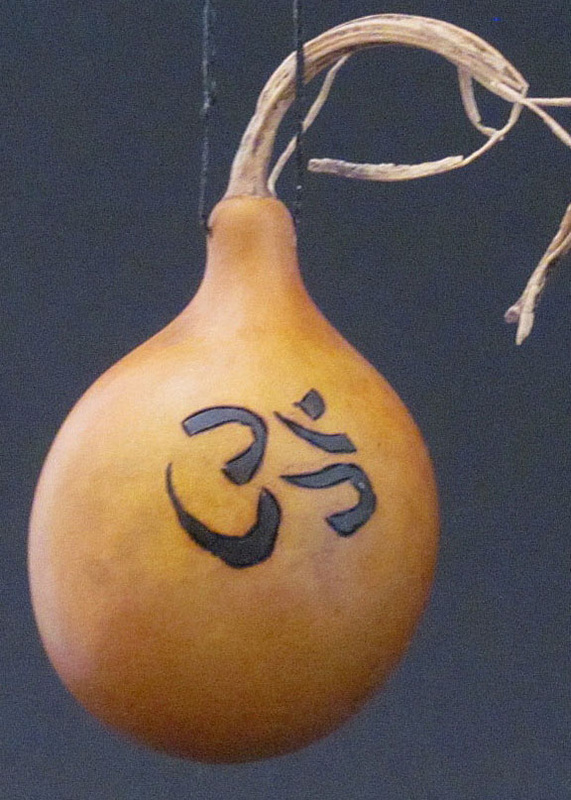 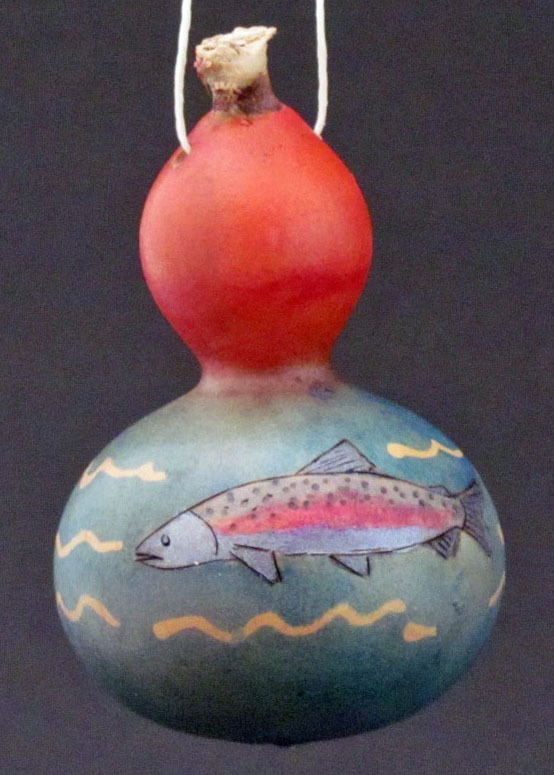 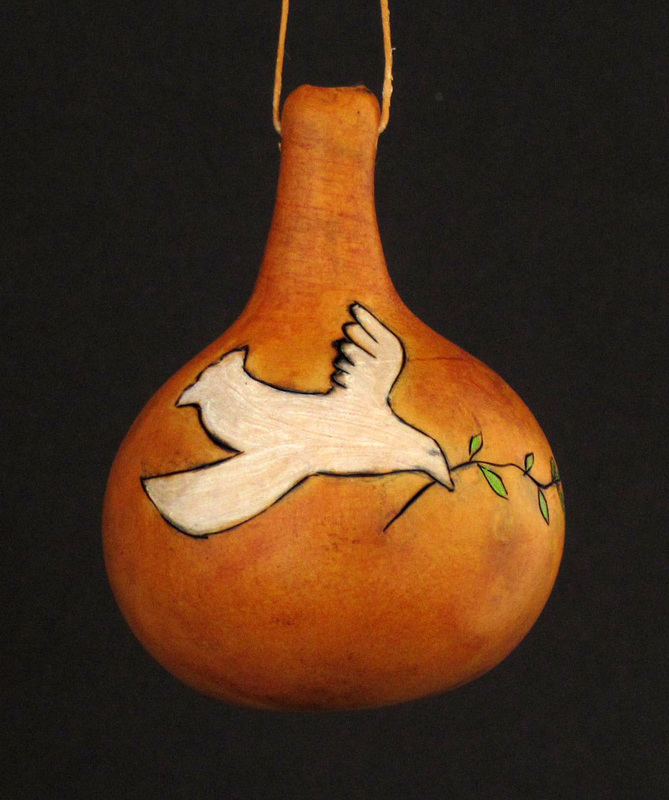 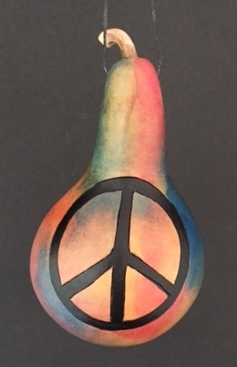 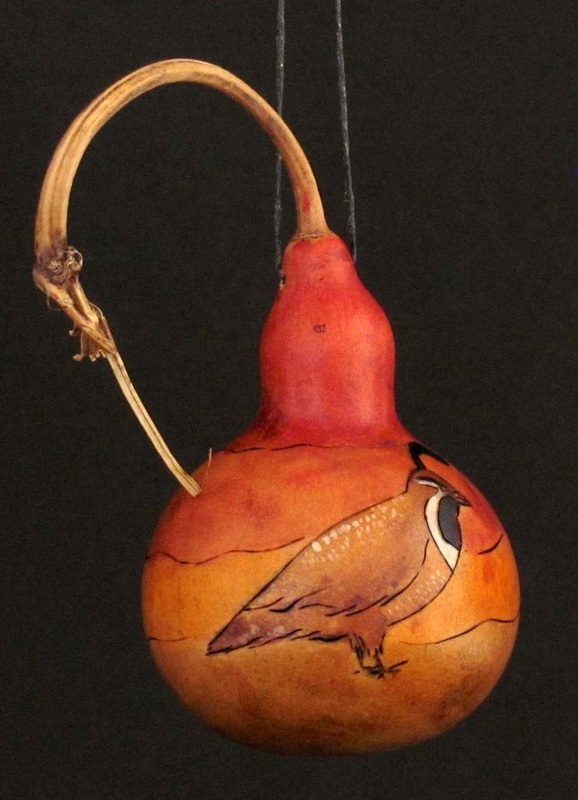 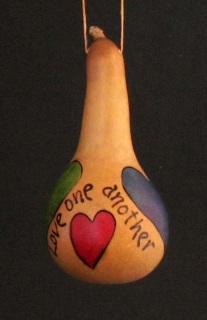 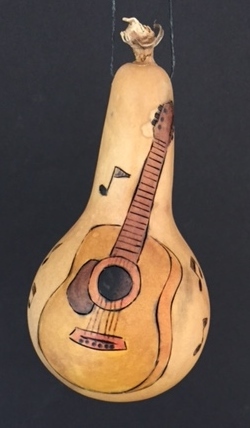 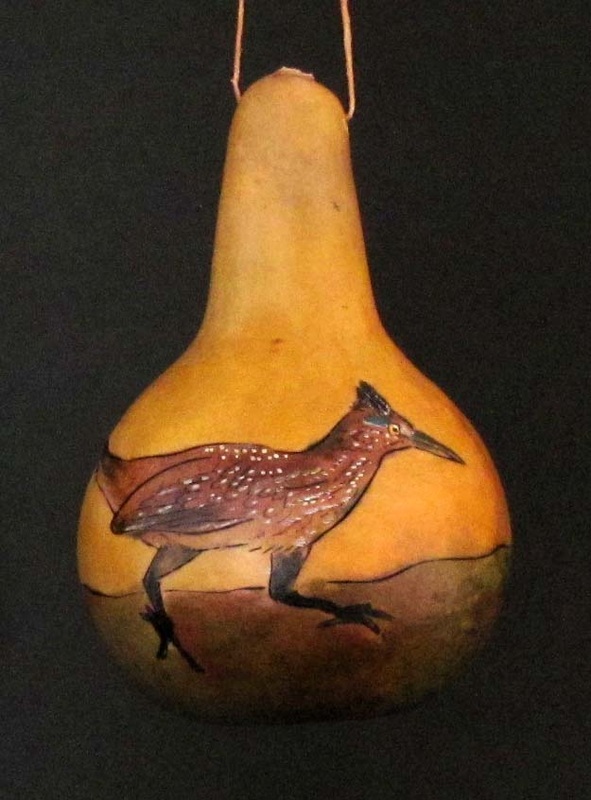 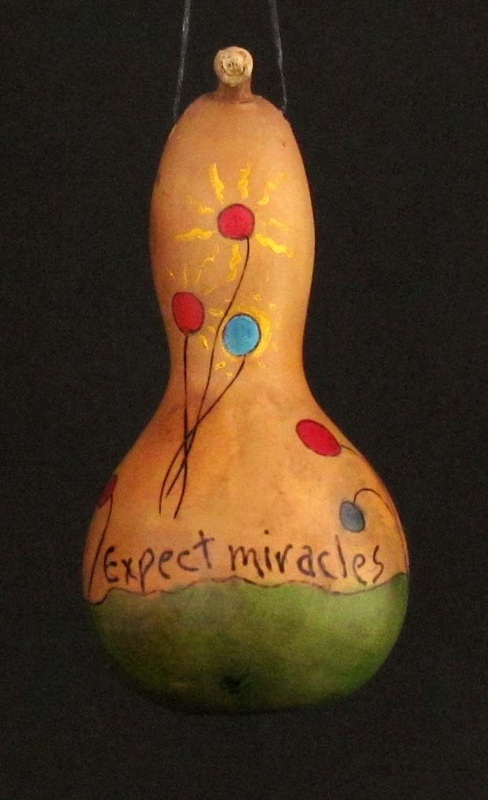 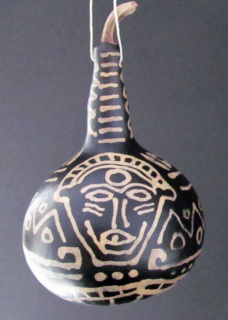 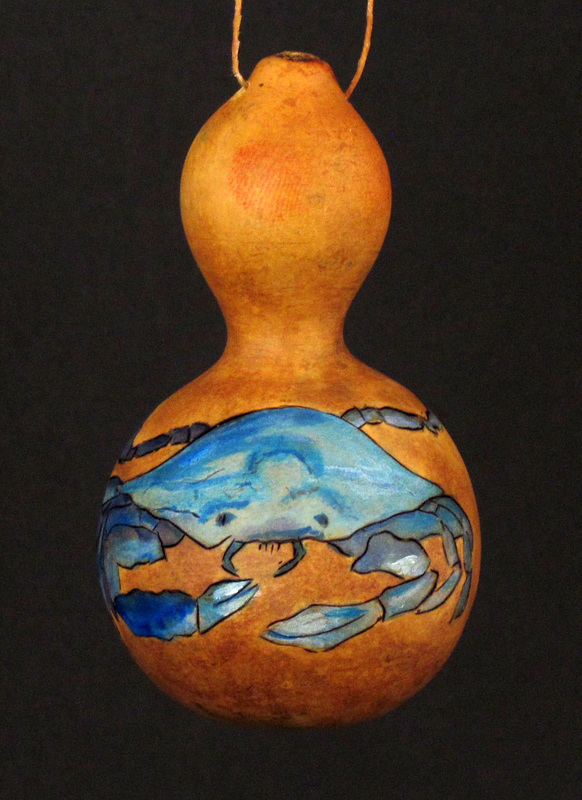 If you don't see what you want here, just let us know - we love to make these fun little gourds to order. Click on the photos for larger picture.